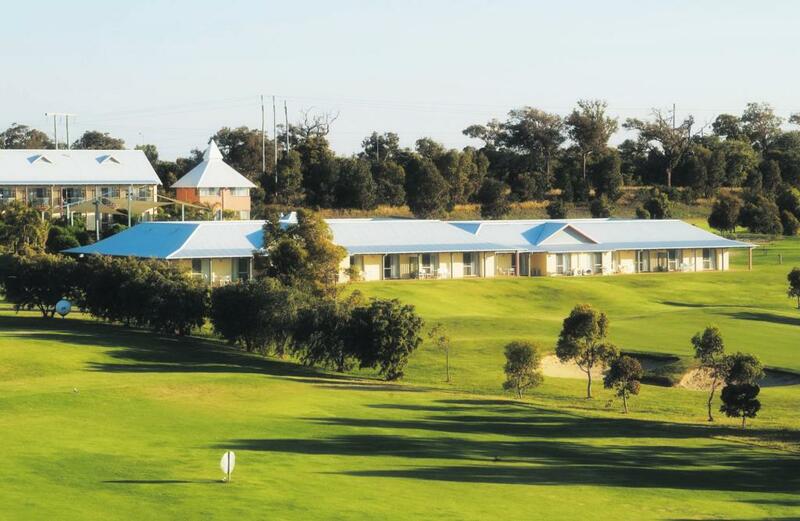 Mercure Bunbury Sanctuary Golf Resort is the ultimate golfers retreat. Located approximately 90 minutes south of Perth and only 8 minutes from the town centre of Bunbury, renown as the city of 3 waters. 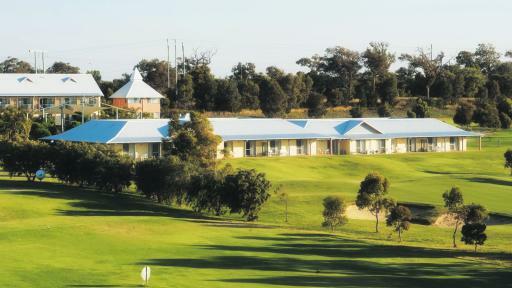 This Bunbury accommodation is based on 37 hectares of manicured green lawns and tranquil lakes; with most rooms having views over the estuary and the resort's very own 18 hole championship golf course. The township of Bunbury is on a peninsular and surrounded by water. There is plenty of restaurants, cafes, nightlife, shopping and sightseeing to be enjoyed. A particularly popular spot for locals and visitors alike is Victoria Street known as the cappuccino strip. Local attractions include the Ferguson Valley Wine region and The Dolphin Discovery Centre where you have the opportunity to swim with Bunbury's friendly underwater locals in the sheltered Koombana Bay. 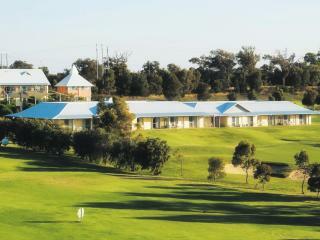 Mercure Bunbury Sanctuary Golf Resort offers comfortable and stylish Studio, 1 Bedroom and 2 Bedroom accommodation. Each room boasts its own balcony or patio with fabulous views over either the golf course or the lush pool setting. Studio: Bedding is 1 King Bed. 1 Bedroom Apartment: Offers views over the golf course or direct pool access. Bedding is 1 King Bed. 2 Bedroom Apartment: This 2 storey townhouse overlooks the pool. Bedding is 1 King Bed + 2 Single Beds. 2 Bedrooms Apartment With Spa: This 2 storey townhouse features a corner spa bath and has views of the pool area. Bedding is 1 King Bed + 2 Single Beds. Victoria Bay Restaurant: Open daily for breakfast, lunch and dinner. Enjoy fine food & wine. Sanctuary Tavern: Serves light meal throughout the day and dinner each evening. Enjoy a casual drink while you watch your favourite sporting event on the big screen.